This rapid and accurate eCount Colony Counter combines a multi-function electronic counter with a Sharpie pen for marking, to prevent missing or double-counting colonies. 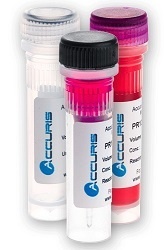 The eCount Colony Counter is a simple to use colony counter for counting cells in microbiology applications or tissue culture. 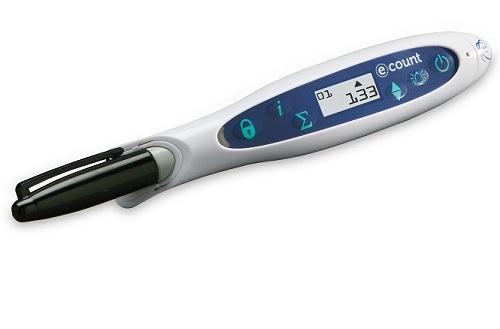 This eCount Colony Counter unit combines a multifunction electronic counter with a Sharpie pen for counting and marking to prevent missing or double-counting colonies in a Petri dish. The unit has a US Patent No. D564385 and EP Registered Design No. 705751-0001. The eCount Colony Counter features a light, ergonomic body that is balanced for easy manipulation. The unit has convenient easy to use touch controls for multiple counts, sums, counting up or down and turning the unit on or off. Counting up or down is verified to enable you to confirm your counts are accurate. Easily verify each count with either an audible beep or LED flash, whichever option best suits your environment and personal preferences. 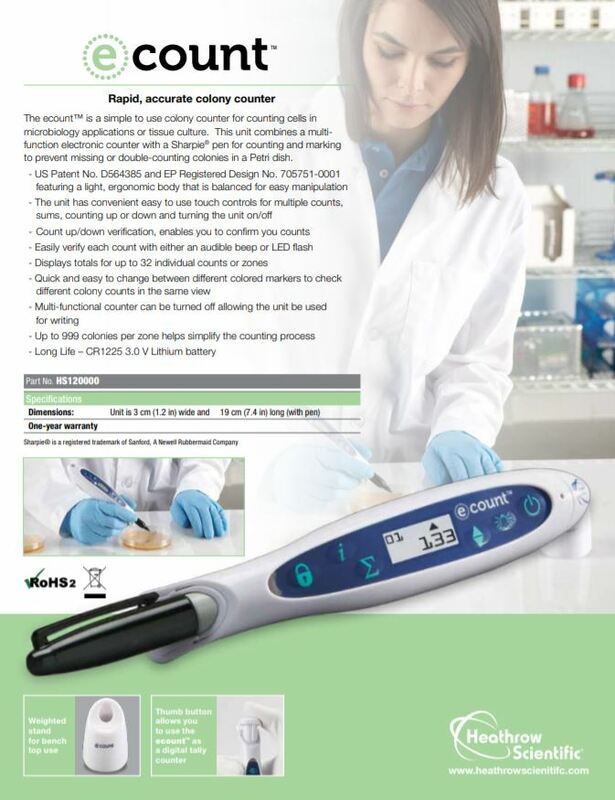 The eCount Colony Counter displays totals for up to 32 individual counts or zones. The unit makes it quick and easy to change between different colored markers to check different colony counts in the same view. The multi-functional counter can be turned off, allowing the unit be used for writing. Up to 999 colonies per zone helps simplify the counting process. The unit has a long life and a CR1225 3.0 V lithium battery.